Successfully Added Uhans S3 Android Smartphone - Quad-Core CPU, Dual-IMEI, 6-Inch HD Display, Android 6.0, 3G, Bluetooth, Google Play, 3100mAh to your Shopping Cart. 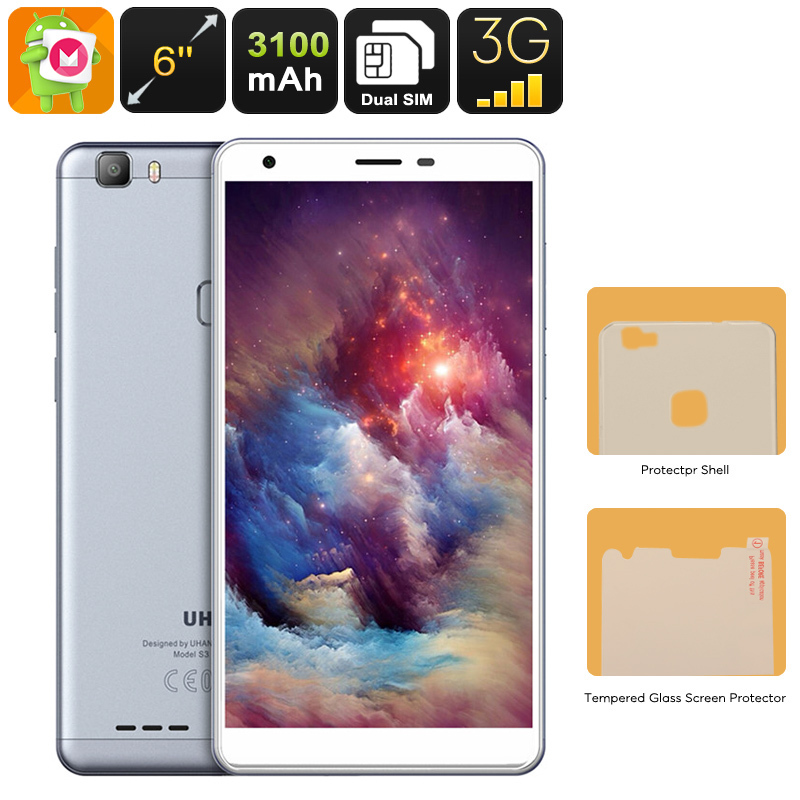 If you are looking for a cheap Android phone that is sure to bring forth a great performance, the Uhans S3 smartphone is a great choice. With its Quad-Core processor that has been clocked at 1.3GHz, this Android smartphone is capable of handling all the basic Apps and software features out there. It supports 16GB or internal memory and a 64GB SD card slot. Therefore, you’ll be treated with enough storage to save all your files and media. With access to Google Play, this Android phone lets you easily download the latest games, movies, and Apps. Thanks to this affordable cell phone, you’ll never have to be bored again. Dual-IMEI numbers bring forth great overall connectivity. For those of you that wish to separate work and private life into one smartphone, the Uhans S3 is a great device. Additionally, it brings along great efficiency for those of you that often travel abroad. By supporting two IMEI numbers, it lets you throw in a local SIM card to browse the web at local fares while simultaneously staying connected to friends and family back home on your domestic phone number. With 3G support, you’ll be sure to enjoy fast mobile data speeds no matter where you’re at. Whether you’re at home, in the park, or traveling abroad – from now on you’ll always be able to browse the web. Thanks to its Android 6.0 operating system, this cheap smartphone brings along a smooth user experience. You will be able to enjoy the latest applications and software features without ever experiencing any lag. On its crisp 6 HD Inch display, the cell phone will treat you to stunning visuals. From now on, you’ll always be able to enjoy a cinematic experience from the palm of your hand. By packing a powerful 3100mAh battery, this Android phone brings along up to 8 hours of continuous usage time. This is enough to get you through the most demanding of days without needing to worry about recharging your device.